We report preparation conditions to obtain different morphologies of as-deposited refractory metal-oxide nanoparticles using inert-gas condensation with CO2 laser heating. The micrometer-scale morphology of the nanoparticles depends on the specific metal oxide, the buffer gas composition and pressure, and the target-to-substrate distance. These parameters control the extent to which a plume of nonagglomerated nanoparticles can reach a deposition substrate. Buffer gas pressure has the largest influence for a given material, with lower pressures producing a dense columnar morphology and higher pressures resulting in an open networked morphology. An estimate based on the geometry of the gas-phase plume and experimental results for Y2O3 nanoparticles produced in 4 Torr N2 gives a critical concentration of tens of nanoparticles per μm3 for the transition of agglomerates versus isolated nanoparticles reaching a deposition substrate. 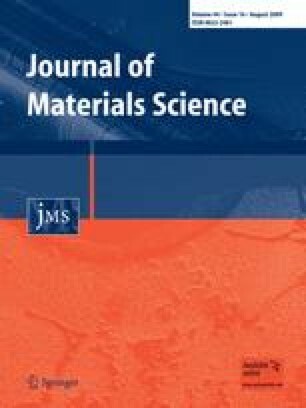 The authors gratefully acknowledge the assistance of Barbara Reisner at James Madison University for the powder XRD data, Kenneth Livi at Johns Hopkins University for the HRTEM data, and Steve McCartney for assistance with microscopy. Funding was provided by the U.S. Army Research Office under Grant W911NF-04-1-0195.